Unstuck Joy! with Vicki Todd - The Art of Living On Purpose: Unstuck JOY! goes to Frankfurt Book Fair! 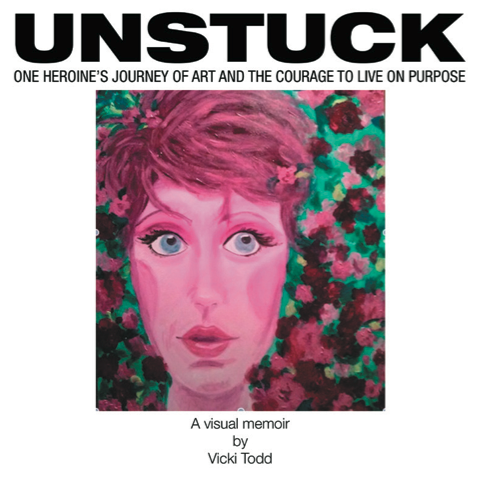 To learn more about Vicki's visual memoir, Unstuck, click here. 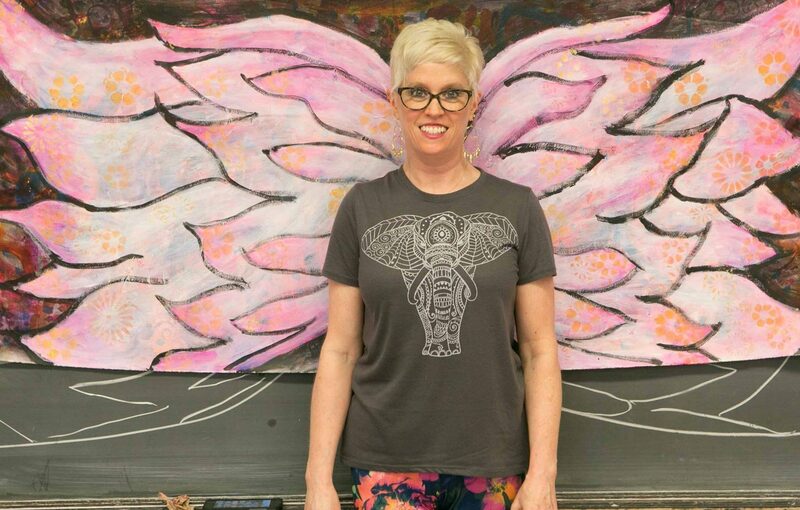 Vicki invites YOU to play along with her Art Visioning process – a fun, creative, transformative spiritual process of using simple art journal prompts to discover your True Self and live Unstuck JOY! This show’s prompt is How Does Your Lotus Flower Bloom? A lotus flower’s roots are deep in the mud and muck, yet the flower rises above toward the light. Let’s celebrate as we rise up out of the muck of fear and doubt toward the light and abundance of our dreams with Art Vision journaling! 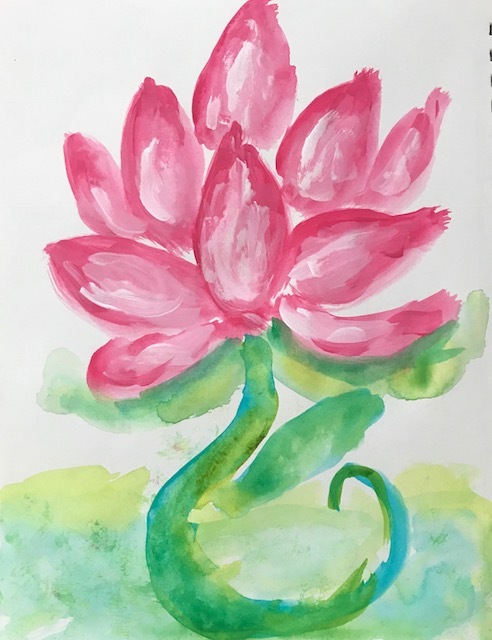 Click here to go to Vicki's Art Vision page: How Does Your Lotus Flower Bloom? Vicki took a fabulous art class with Oregon artist Whitney Freya! 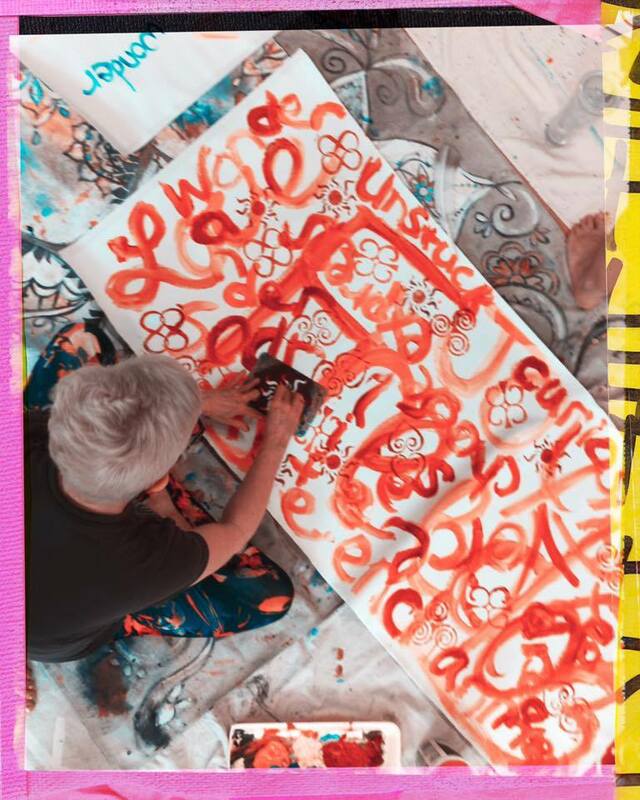 Underneath the angel wings, everyone in the workshop painted words representing their dreams and intentions, along with symbols for abundance, courage, and love. (See photo below.) Then participants painted their unique angel wings using their favorite colors. Vicki loves her wings! She’s using their symbolism to guide her as she follows her dreams at the Frankfurt Book Fair and beyond!